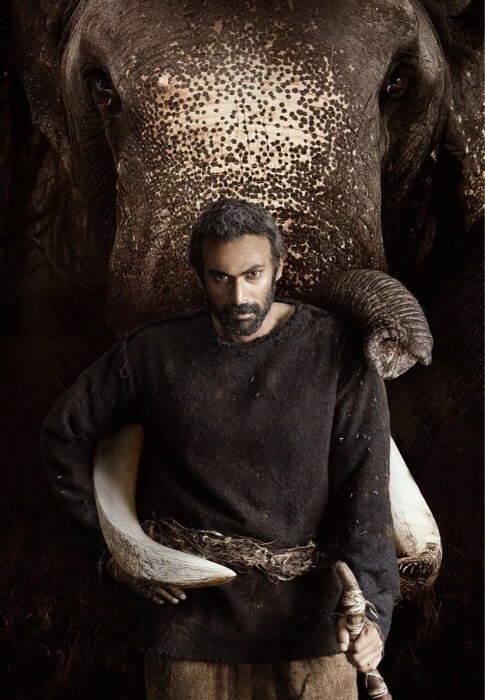 Rana can be seen in an unrecognisable new avatar in the ‘Haathi Mere Saathi’ first look. There can be no denying that 2017 was a terrific year for Rana Daggubati. The young star began the year with a solid performance in the highly ambitious ‘The Ghazi Attack’ and received rave reviews along the way. A Hindi-Telugu bilingual, it also featured Taapsee Pannu in the lead and did well at the box office. Post that, Rana became the talk of the town when ‘Baahubali 2’ hit screens and redefined the tenets of Indian cinema. In it, he played the role of the heartless Bhallaldev Talking about working with T-town’s ‘Darling’, he had praised his dedication and said called him a sweet person. The good news, however, did not end there. A few months after the release of ‘Baahubali 2’, Rana returned to theatres with the political-thriller ‘Nene Raju Nene Mantri’ and tasted success again. In the Teja directorial, he shared played the role of a politician and delivered a solid performance. Besides Rana, it also featured Kajal Aggarwal in the lead and received rave reviews upon release. Talking about it, he had said that it has a ‘House of Cards’ feel to it. Now, Rana is in the limelight again. In an exciting development, he just unveiled the first look poster of his next big release ‘Haathi Mere Saathi’. In it, he can be seen an unrecognisable new avatar that he carries off like a boss. The poster also confirms that the film will indeed be revolving around the bond between a man and an elephant. In case you did not know, ‘Haathi Mere Saathi’ is a Tamil-Hindi-Telugu trilingual and will be directed by ‘Kumki’ director Prabhu Solomon. Sometime ago, Rana had said that ‘Haathi Mere Saathi’ revolves around how nature affects rthe life of man and will be different from anything he has done in the past. “There’s a very exciting physical language to the character I’m playing in Haathi Mere Saathi and is completely different from what I’ve done in the past. I’ve always wanted to be a part of content that can travel across the country. It’s a rare story about the relevance of nature in our lives, narrated through a wonderful relationship between man and elephant. Prabhu Solomon’s passion for nature and elephants makes him the finest craftsman in the country who can handle a story like this,” he had told a leading daily. Well, we wish Rana good luck for ‘Haathi Mere Saathi’ and hope that it turns out to be a success at the box office. At present, besides ‘Haathi Mere Saathi’, he also has ‘1945’ in his kitty. It is a Tamil-Telugu bilingual and will see him in a new avatar. Sometime ago, he had told PV South that he will be playing the role of a soldier in the film. “It’s a story about a soldier who fought in the INA regiment of Subhas Chandra Bose. It’s set in a turmoil kind of situation after the Tamil moves to South East Asia and Telugu moved to Burma. It’s being shot in Telugu and Tamil, a bilingual. It is being directed by Sathya Sivan,” he had said. So, are you looking forward to Rana’s upcoming films? Did you like the first look of ‘Haathi Mere Saathi’? Comments, please!